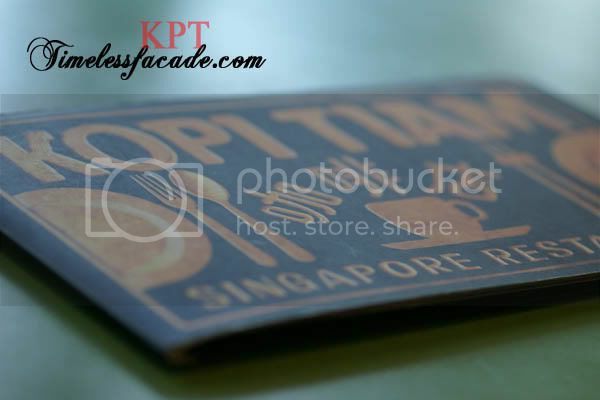 Kopitiam literally translates into 咖啡店 or coffeeshop which is synonymous (to a certain extent) with affordable local food. 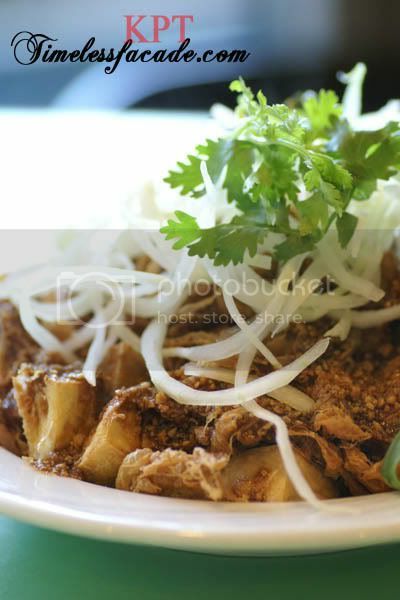 However, this offering by Swissotel Singapore promises the best of local favourites at a premium price in an air conditioned environment coupled with good service. 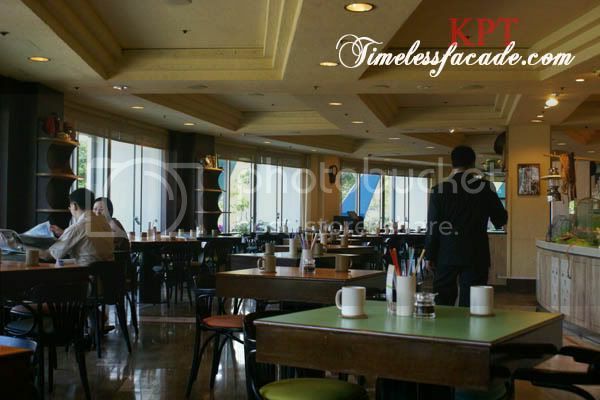 Hidden in a corner on the second level of Fairmont, Kopitiam plays neighbour to Cafe Swiss. Decor is kept simple and uncluttered with green wooden top tables and mugs that are reminiscent of kopitiams in the old days. 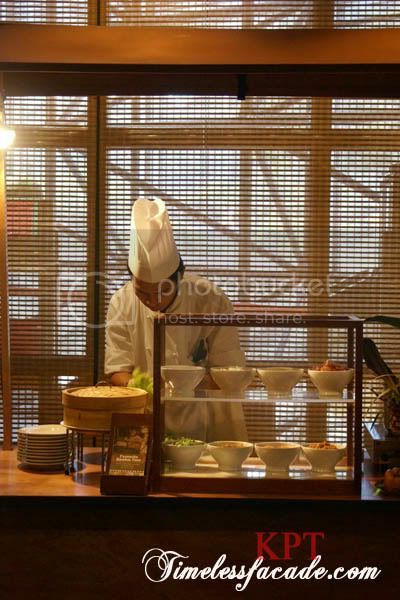 There's even a few push cart type stall fronts where chefs will prepare local favourites like popiah to mimic the days of old. 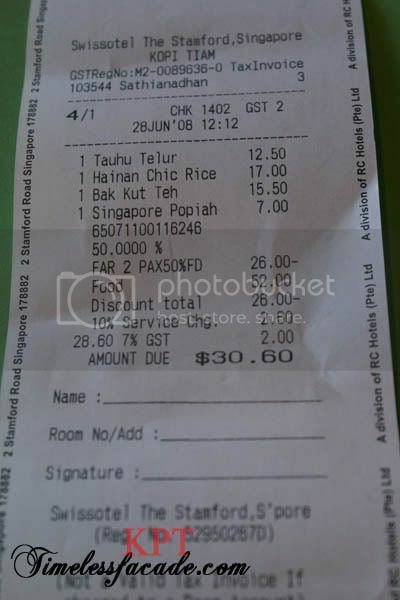 This has got to be the most expensive popiah that I've eaten in Singapore, standing at $7++ a roll. Brimming with ingredients, shreds of slipper lobster inclusive, the popiah looked like it could burst anytime with its thin but hardly chewy and tasteless skin. 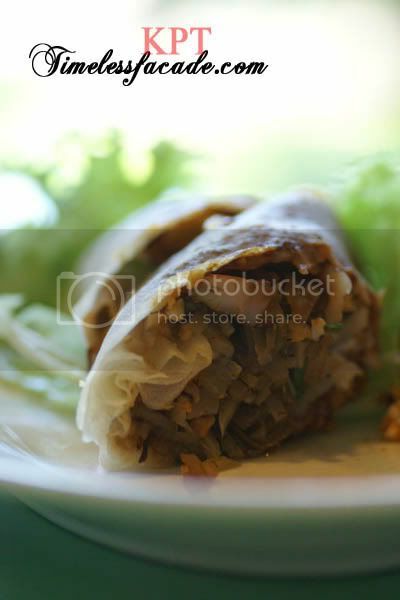 Honestly, as a whole, the popiah was tasteless. Only the taste of chilli prevailed. Honestly, tahu telur to me is mainly comfort food and Kopitiam's rendition reminded me of those you can get at food courts islandwide - average and not the least bit outstanding. The tofu was rather chunky and I found this dish a little too sweet for my liking. The only thing I thought was quite good was the egg, which was deep fried to a crisp. 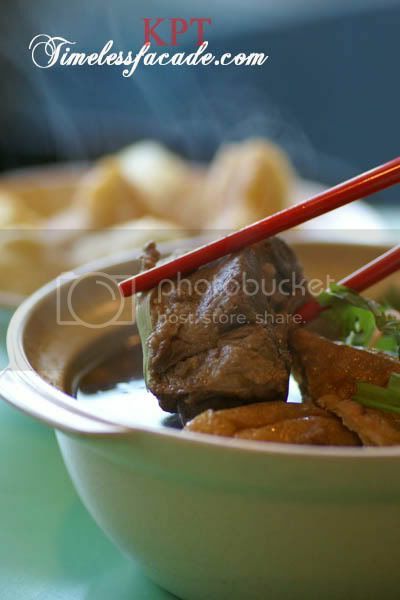 I've always been a fan of bak kut teh, especially the Teochew variant, which this offering didn't fall under. $15.50 got me 5 medium sized ribs, a bowl of dough fritters and rice. The ribs were actually quite good, meaty and coming across as tender with a mild bite. The soup was a tad too sweet for my liking but definitely not as sweet as the one I had at Empire Cafe, probably due to the noticable absence of wolfberries. Did I mention that the dough fritters were crackling but didn't taste fresh? 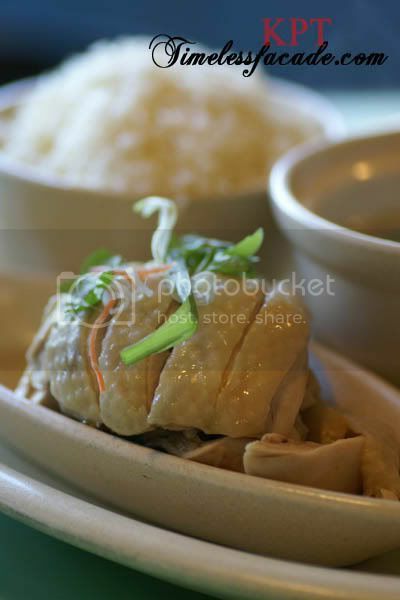 One of the most iconic dishes of Singapore and purportedly a signature of this place, the humble Hainanese chicken rice looked disproportionately small for $17. I'm pretty sure you can get the same quantity of chicken at a hawker centre for about $3-$4. That aside, the chicken was succulent and tender without being too fatty or salty. The rice was not too oily and fragrant but a tad undercooked. Definitely not as tasty as I had expected it to be. But then again, I guess you sacrifice taste when you cut down on the oil. Without discount, the bill came up to a shocking $61.20, which is preposterous in my humble opinion. Street food, even in "high class" restaurants, really shouldn't cost an arm or a leg. 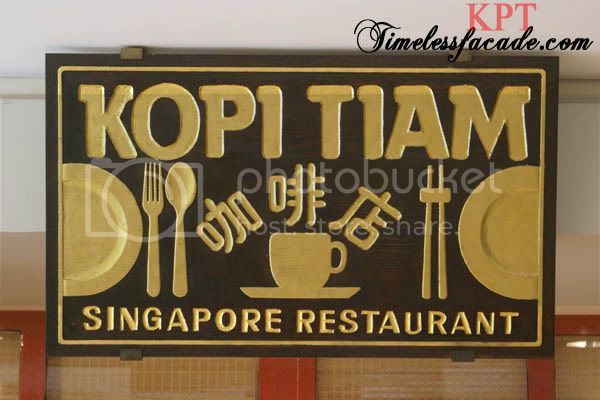 Kopi Tiam Singapore Restaurant may be effective in showcasing Singapore's culturally diverse local food to tourists but it certainly doesn't strike a chord with me, not with the prices. Oh. 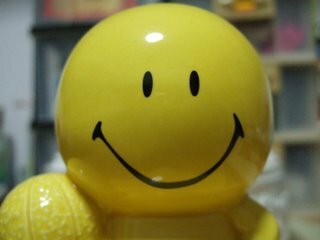 Thought your Card expired? Did you renew it again?! 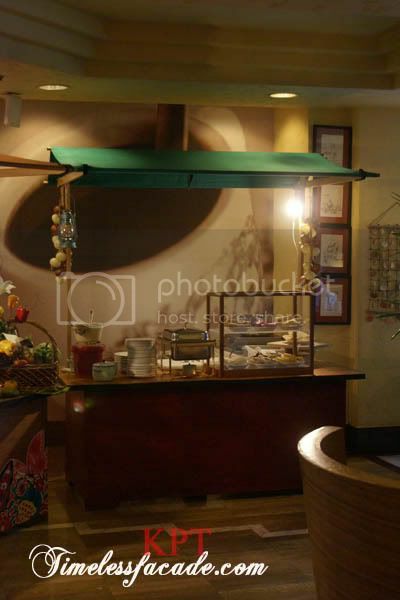 I believe the premium price is for quality food, service and of course for the ambiance. Rojario: I don't think the food was good honestly.